Spellcaster 2: Coming in December! After several months of work, Spellcaster 2 is almost ready! It should be up for sale in December, hopefully early December, but I'm not going to commit myself to a specific day. 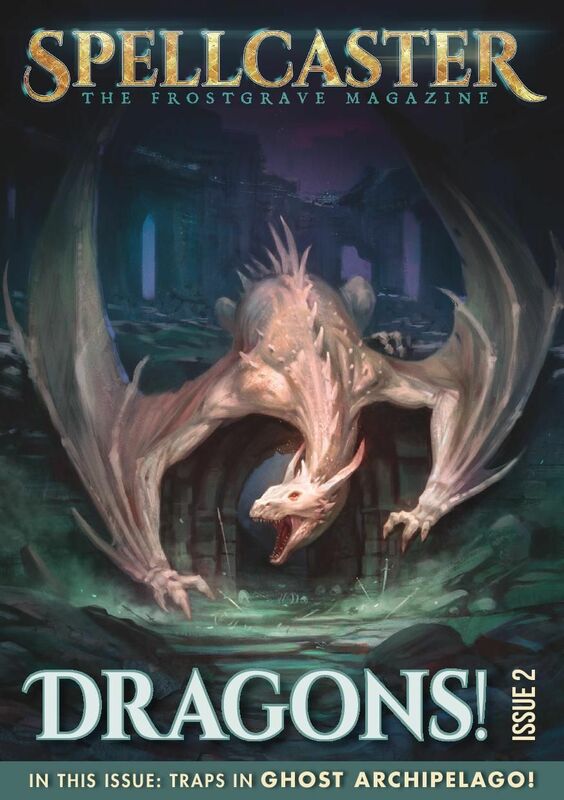 As you can see from the cover (once again featuring stunning artwork from Dmitry Burmak), the lead article for this issue is dragons! I've gotten so many requests for dragon rules in Frostgrave that I just couldn't resist it anymore. Not that I really wanted to. These aren't the kind of monsters you are going to roll on the random encounter table. These guys are bad news... There is also a dragon-hunting scenario, for two warbands working together. It's not all dragons though. The issue also includes rules for traps in Ghost Archipelago, including a full trap list themed for the Lost Isles. This section also includes a solo scenario that makes full use of these traps. Beyond that, for a bit of fun, I have included some rules modifications and a scenario for using Frostgrave to fight mech battles in the far-flung future! That's the main features, there are a few other things in there as well. Having learned a few lessons from Issue 1, I have made some changes to this one. This issue is longer than the first one, is in A5 format, and features professional internal layout and design. It does also cost a dollar more at $6. One other major change - this issue will be offered print-on-demand through RPG Now / Wargames Valut and hopefully through Amazon as well. Not sure of the pricing on that, but it will be more or less $6 plus the cost of production. I'll let everyone know when it is ready to go! A few years ago, when I was organizing Osprey Publishing's attendance at Salute, I arranged for popular artist, Peter Dennis, to come to the show and do some painting on the stand. Peter is well aware of my affinity for, and ancestral connection to, the American Civil War, so while on the stand at Salute, he asked me to pose as though I were leading a Confederate charge. I didn't know what it was for, but I was happy to oblige. 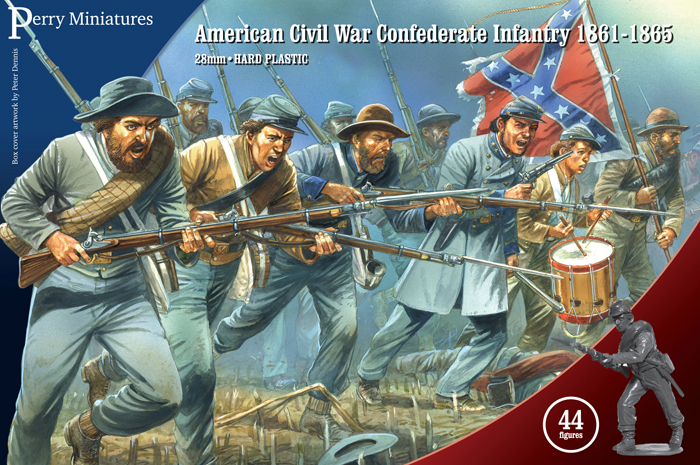 A few months later, Perry Miniatures released their new box of plastic Advancing Confederate Infantry, and there I am, pistol at the ready, urging my troops onward! I don't know, I think I look pretty good in a kepi. I’ve read a few really good books lately, so I thought I would share! Sometimes you can actually feel your brain expand as you read; that was the case for me while reading Anti-Fragile. In this book, Nassim presents a new way of looking at the meaning of fragility, and, more importantly, it’s opposite. He then uses that idea to examine various aspects of human life and culture, forcing the reader to really think about some of the core beliefs of how the world works. It’s not a perfect book. Occasionally, he uses a couple of fictional characters to help illustrate his points, but I found this generally obscured what he was trying to say. Also, some parts were so complex, they either went over my head, or I found that I couldn’t muster the mental energy to even try and follow them. Still, that aside, there is a huge amount of interest that can be taken from this book. 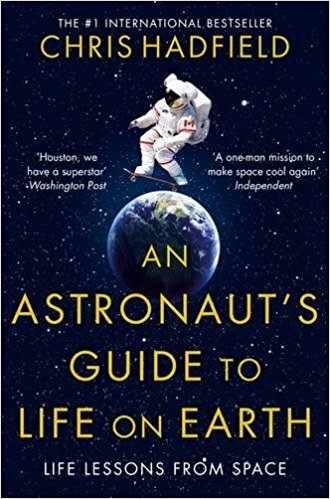 Despite the title, this book is mostly an autobiographical look at Chris Hadfield’s career as Canada’s top astronaut. A career that included three trips into space, including rides on both the Space Shuttle and the Russian Soyuz, a trip to the Mir space station, and a term as commander of the International Space Station. This book made me realize just how far behind I am in understanding current human space exploration, a subject I’d like to keep up with more in the future. Along the way Chris Hadfield does have some interesting things to say about life and how to make your life count. After more than a decade of working for Osprey Publishing, I no longer have any direct dealings with the military publishing for which the company is famous. That said, it is why I originally joined the company, and I still try to read the books whenever I have the chance. During my time at Osprey, Leigh Neville has been the go-to author when it comes to modern special forces topics. His Special Operations Forces in Iraq and Special Opeartions Forces in Afghanistan are must-haves for SF fans, and I think this book is even better. This new book is a terrific summary of the US Army Rangers over the last few decades. It includes a summary of all of their major actions (and they seem to have been involved in just about everything) as well as a detailed look at their changing weapons and equipment during that time. If you are a modern wargamer, you are definitely going to want this one in your library. It's a good month for me in the wargaming magazines! 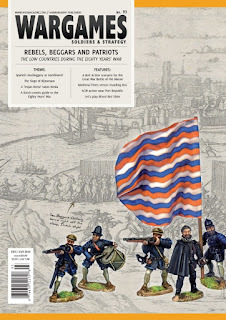 Not only did my solo Ghost Archipelago scenario appear in Wargames Illustrated, but I've also got an piece in the new Wargames: Soldiers & Strategy no. 93. This piece is more of an editorial. It delves into the question of how to take into account social interaction while design wargames. I won't say much about it here, because I said it there (if you will). 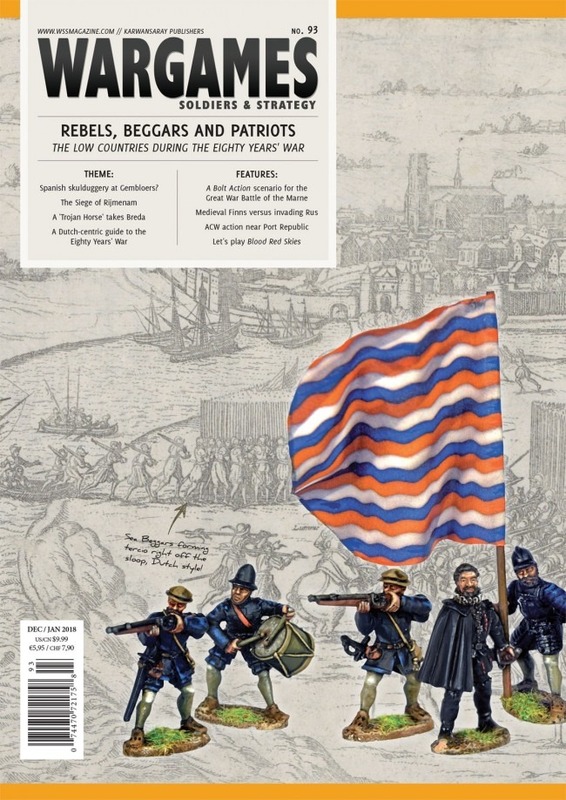 Great piece in latest @wssmagazine by Osprey's @ReniassanceTrll - food for thought for #mniatures#wargaming rules writers - including me! As an added bonus, the piece includes a sketch of my head that makes me look like I'm wearing a Civil War ear kepi (it's actually a baseball cap). 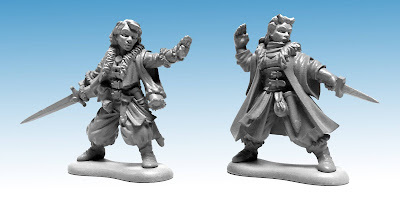 While most of the attention lately has been on Ghost Archipelago, there is a very cool new release coming for Frostgrave this month: Frostgrave: Second Chances! 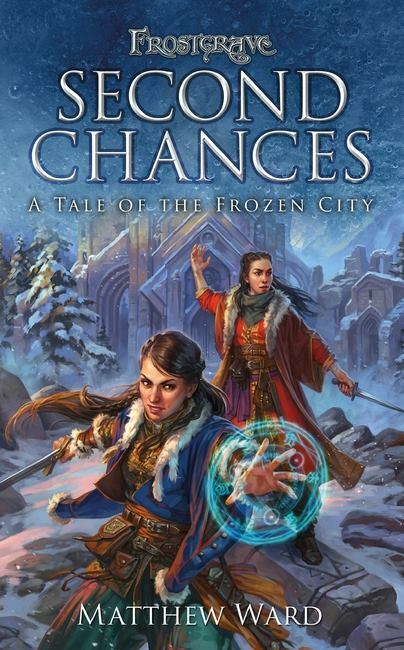 This is the first, novel-length story set in the Frozen City, and it’s a doozy. The story is written by Matthew Ward, who long-time fans may remember from The Tales of the Frozen City fiction collection that was released at the same time as the main Frostgrave rulebook. It was that story that convinced me that Matthew had a real handle on the setting, so when the opportunity came from someone to write a novel, he was the first person I approached. He wrote a synopsis, which I really liked, and everything lead on from there. In some ways it has been tough to let go a bit, and give someone else room to play within the Frozen City (us writers can be jealous types, you know), but I have been involved at every step, with the power of veto over anything I didn’t like. As it turned out, it was a power I didn’t need. Matthew turned in such an enjoyable, character-driven, fantasy adventure, that I had little to say other than how much I liked it. And that is with me reading it as an unformatted manuscript (which strangely, does often make things much more tedious to read). 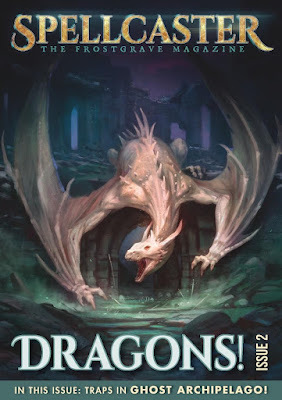 If you like Frostgrave, or just fantasy adventure novels, I suggest you give it a try. To make the news even better, Dmitry and Kate Burmak did such a great job depicting the main characters on the cover, and a couple of pieces within, that North Star / Osprey Games just couldn’t resist getting them sculpted for the game. So, the incredibly talented Bobby Jackson was brought in to bring the sister ‘to life’ in metal. You can order them, along with the novel, from North Star. If you need one final excuse, the novel also includes a exclusive Frostgrave scenario, written by yours-truly, based on one of the scenes in the novel. I read a lot of tie-in fiction, and generally it is of a certain quality. I honestly believe this novel rises well above that level and could easily stand alongside most of the mainstream fantasy that is being produced today.